The Wall Street Journal has written an in-depth deconstruction of Burger King’s “Whopper Freakout” campaign that goes beyond the typical “restate the catch phrase” level of analysis and delves into what makes this oddly persuasive bit of salesmanship so effective. Uh, the WSJ article does not so much deconstruct the campaign as it does reconstruct it, explaining how BK pulled it off and why it works. As such, the article is more of an advertisement for an advertisement than any kind of analysis of the campaign. It's easier to talk about what deconstruction ain't than what it is, but it is emphatically not disassembling the subject of critique via the same terms that attended its construction, and permit its reassembly in the same form. Rather, speaking very generally, we can profitably think of deconstruction as a process of revealing the contradictions that are already inherent in the text. For instance, Derrida's "Declarations of Independence" does not "delve into what makes this oddly persuasive bit of salesmanship so effective," but instead leaves you wondering who the hell the "we" is holding these truths self-evident, and if we don't know, then maybe then we are still Brits. Yes, I've belabored this idea before. 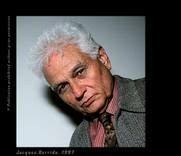 I do not think, however, that Derrida is the right French dude for getting after what's going on in these commercials. Instead, look to Max Robespierre, the Terror guy from the French Revolution. In recent years, folks have noticed that they have giant fat asses, and that eating hell of fast food might have something to do with it. In this light, folks write books, ban trans fats, and introduce legislation that would bar obese folks from restaurants. Not hard to imagine that the braintrusts at fast food corporations would prefer not to see Prohibition 2.0 shut down their businesses, or even regulate them. I am confident that the real audience of these commercials is not those who come to praise the Whopper, but those who come to bury it. The idea that "if you take their Whoppers away, they will freak out" seems like it just might pop into the mind of a legislator about to cast a vote regulating the fast food industry. *Billy "The Whopper" Paultz: before there was Kurt Rambis, there was The Whopper.